When you go out to eat and are served a meal with a nice sprig of parsley, do you eat it or throw it away? Parsley is commonly used by restaurants to add a splash of green to the dinner plate. Just in case you didn’t know, it’s edible. And healthy. Parsley has a long history of being used as a medicine–thousands of years to be exact. However, it has only been used as a seasoning since the Middle Ages. Some of its earliest uses were to help ‘fasten your teeth’ (people had spongy gums from scurvy and parsley contains vitamin C), enhance eyesight, and regulate menstrual periods. Nowadays, we have the research and equipment to analyze the health properties of foods; and darn, if those ancients weren’t right on the money. Parsley has three times as much vitamin C as oranges, which classifies it as an excellent source. It also contains volatile oils that have been shown to inhibit tumor formation in animals, particularly in the lungs. The oils are most effective at inhibiting the carcinogens from cigarette smoke and grilling (the black, charred stuff we get on our food when it burns on the grill). The combination of those two items alone makes parsley worth a chew at the end of your meal. Parsley is a good source of chlorophyll. If you eat it after a meal, it will cleanse your breath. Eat too much garlic? Finish off the meal with your parsley garnish and you will be good to go. Parsley can be used as a diuretic and is helpful in reducing the risk for kidney stones. Eating the stems and leaves of parsley on a regular basis may potentially save you the agony of developing and passing kidney stones. Parsley is easy to grow (as are most herbs). You can grow it in your garden or in a flower pot. Parsley is a biennial, which means it takes two years to complete its lifecycle. Most people plant it in April or May to get the largest amount of parsley, but you can even plant it in July, which will give you a late fall crop. Fresh picked parsley should be stored in a plastic bag in the refrigerator. Wash right before using, as it is very fragile. “Parsley Potatoes” is an easy recipe to make; just boil red-skin potatoes until tender and then toss them in melted butter with finely chopped parsley. It is also good thrown into a tossed salad, or sprinkled over fish, soup, and stew. It only takes two tablespoons to provide health benefits, so eat your garnish! Or better yet, grow some in your garden and extend the benefits to everyday dining. Extra Herbs? Try Freezing Fresh Herbs! My herb pots are growing and I need to harvest some of them. All of the rain we’ve had this summer in Ohio has made them lush and ready to pick. I’ve enjoyed substituting fresh herbs for dried herbs in many dishes this summer. Let’s talk about a couple of dishes we’ve enjoyed this summer. Not sure about which herbs to use with which foods? This Ohio State University Fact Sheet will give you some great suggestions for selecting, storing and using fresh herbs. Have you tried a Caprese sandwich with fresh basil? If not, try one for a yummy treat. How about a dish of caramelized onions, summer squash and garlic? Stir fry these vegetables and add fresh basil or oregano. If you have zucchini, slice it and add it to your recipe. Try this version from USDA for summer squash medley. This year I made a version of Mala String Beans with fresh green beans. Cook your green beans in boiling water for about 5 minutes. Once they are blanched, you can store them in the refrigerator for 3 days. To make your Mala String Beans, caramelize onions and garlic (be generous with garlic) in a small amount of olive oil. Add your blanched green beans and stir fry. Add a small amount of sesame oil and low sodium soy sauce. Enjoy. Using fresh onions from my garden made this dish extra tasty. Back to my herbs. . . I want to have the taste of fresh herbs after they’ve dried up and there’s snow on the ground so I decided to freeze some of my herbs so that I can enjoy them this winter. 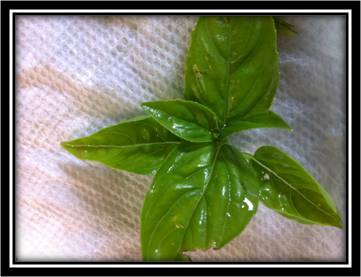 Basil just picked, washed and drying on paper towel. 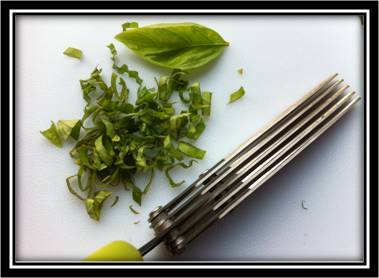 Chopping fresh basil with specialty sheers. You can also chop with a knife. Fresh herbs in a tray ready to be frozen. You can use an ice cube tray or a special herb tray with a lid. 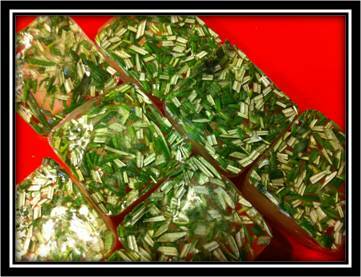 Frozen herbs on a plate before placing in airtight freezer container. 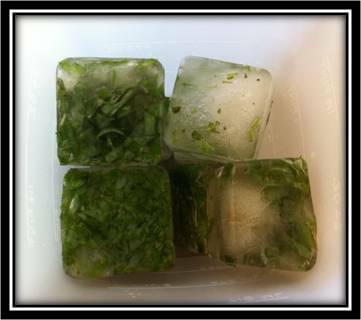 Frozen herb cubes in airtight container to be stored in freezer. I found out that it is relatively easy to freeze herbs. I picked my herbs and lightly rinsed them. Lightly dry them on a clean towel or paper towel. Chop them with a knife or special herb chopping scissors. 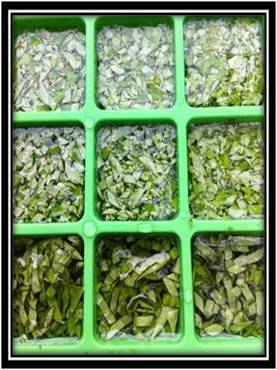 Freeze in ice cube trays or in special herb freezing trays. Fill the trays with about 2 Tablespoons of herbs and water. Freeze overnight. Pop out the cubes and place in airtight containers. I would recommend storing your herbs in separate containers so the flavors don’t mix. I have basil and rosemary frozen in my freezer waiting for my next creation. What will you create with fresh herbs? Join Us for Our Spring Wellness Email Challenge! Are you interested in maintaining your weight or even losing a few pounds this spring? Could you use some encouragement and guidance but don’t have time to attend classes? 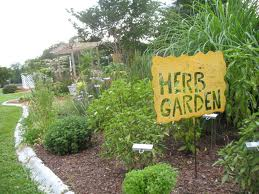 Want tips to help you grow herbs, start a garden or eat more local foods? Does this sound interesting to you? If so, give our Spring Live Healthy Live Well Email wellness challenge a try. “Spring Live Healthy Live Well Challenge” is an on-line challenge designed to help adult participants get fit by encouraging regular physical activity, nutrition, and wellness activities. Participants will receive e-communications twice each week, containing nutrition, health and fitness tips. Additional food and activity logs will be available for download to help participants track their progress. They will also have access to supplemental information available on Blogs and Facebook. If you’ve joined us on other challenges, you’ll see new themes during this spring challenge. We will learn about these topics and be encouraged to participate in wellness behaviors. • Vegetables and Fruits – adding more of these foods to your diet. • Fitness Focus Tips – finding ways to move more. • Root Vegetables – trying new recipes for veggies and fruits. • Local Foods – visiting a Farmers’ Market or the local foods section of your store. 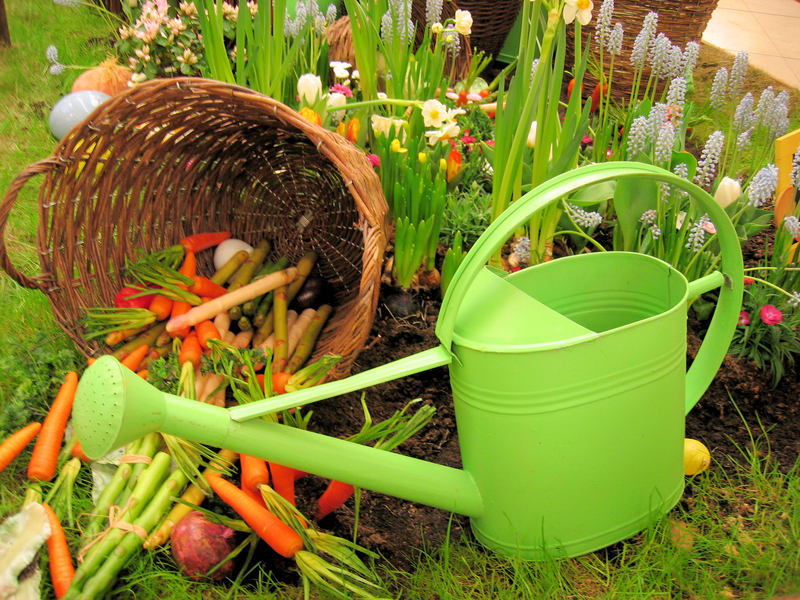 • Gardening – planting an herb, vegetable or fruit in a container or plot garden. • Seasoning with Herbs – using herbs instead of salt to season foods. • Sunscreen – wearing sun protection or sunscreen every day. Once you register, you will be enrolled and begin receiving e-communications starting the week of April 7, 2014. While Facebook™ will be utilized; participants only need to have an email address. The program is funded by Ohio State University Extension and County Commissioners Cooperating. Herbs have been around since the dawn of civilization. Ancient people gathered herbs to flavor foods, which were often spoiled, and to use as natural health remedies. Today, we still use herbs to enhance the flavor of our foods. 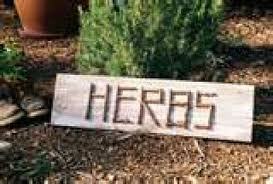 Herbs can also be thought of as health promoting. Replacing salt with herbs has been used by many cultures in the Mediterranean, South America, Asia and Europe. Although sodium plays an important role in the body too much salt is can cause hypertension and fluid retention. Experts recommend that we not consume more 2400 mg (teaspoon) to prevent hypertension and cardiovascular disease. We are not born with a taste for salt but we develop it with our diet. A preference for salt can be unlearned by gradually lowering it in our diets. Fortunately, herbs are fat-free and often sodium free so that you can spice up your dishes with sacrificing flavor and nutrition. In addition to being low-sodium, research suggests that culinary herbs are health promoting in other ways. A diet in which culinary herbs are used to flavor food provides a variety of active phytochemicals that may protect against chronic diseases. Herbs should used sparingly so as to not overwhelm the flavor and fragrance. Herbs can be used as fresh or dried. To substitute dried herbs for fresh, the general rule is to use 1/3 teaspoon of ground or 1 teaspoon of crumbled dried herbs for 1 tablespoon of fresh herbs. 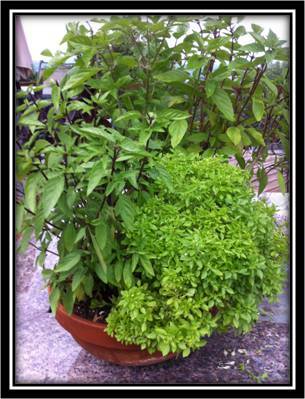 Fresh herbs can easily be grown in containers with lots of sunshine and water. When harvested, bunches of fresh herbs can be stored in the refrigerator with their stems in water. To dry fresh herbs, tie stalks into small bunches with a string and hang upside down in a paper bag punched with holes. Store the bag in a warm, well ventilated place. Once the herbs are dried they should be stored in tightly closed glass jars and kept in a cool dry place.  Allspice: Use in pickling, baked apples, puddings, cakes, cookies, meat and fish. 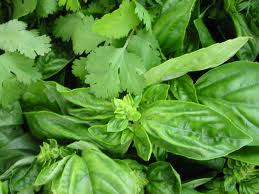  Basil: Use in soups, stews, eggplant, squash, tomatoes, sauces, egg dishes, stuffing, tossed salads and potatoes.  Bay leaves: Provides a pungent aroma and flavor. Use in stews, sauces, and salad dressings.  Cayenne: Use in stews, sauces and salad dressings.  Chili Powder: Provides a hot flavor. Use in stews, boiled eggs, chili, and other Mexican dishes.  Thyme: Add carefully; very penetrating. Use in soups, stews, meat loaf, onions, carrots, beets, stuffing and sauces.  Oregano: Use in tomato sauce dishes, egg dishes and salads.  Paprika: Use in potato dishes, shellfish, and salad dressings.  Parsley: Is mild and versatile. Use with meat, vegetables, soups, eggs, and potatoes. Growing herbs can be a family affair. Childhood obesity rates are at all time highs and many children will suffer from chronic disease in early adulthood. Many diseases are preventable if lifelong habits of physical activity and healthy eating are adopted. Involving children in the process of growing, harvesting, and using herbs could foster an interest in life-long interest in cooking and healthy living. Sources: “Spice Up Your Life with Herbs” by Jennifer Even. OSU factsheet SS-208-02. “Health-Promoting Properties of Common Herbs”, by Winston Craig. American Journal of Clinical Nutrition, Vol. 70, No. 3, 491S-499S, September 1999.